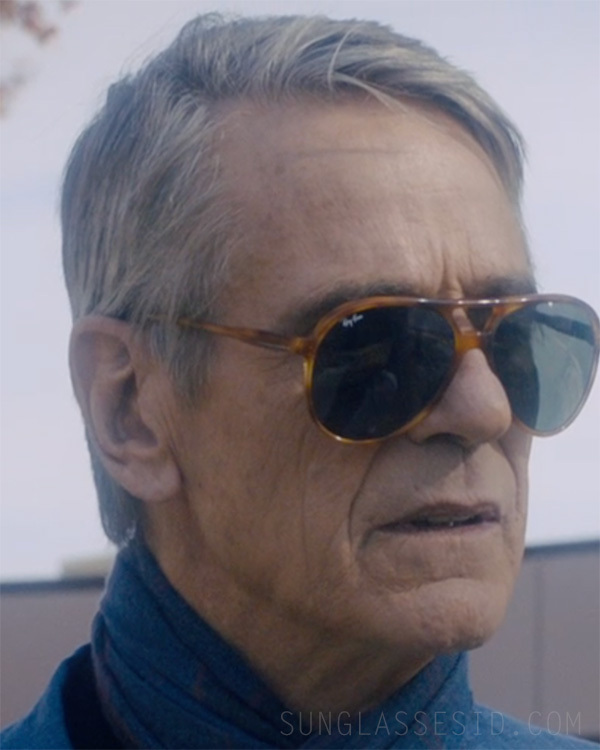 Jeremy Irons wears vintage Ray-Ban sunglasses in the movie An Actor Prepares (2018). The glasses are probably Vintage Ray-Ban Bausch & Lomb USA Traditionals Aviator, L1672 or W0371. These vintage glasses can be found on eBay. A new modern version of these sunglasses are the Ray-Ban Cats 5000 RB4125, which is widely available. 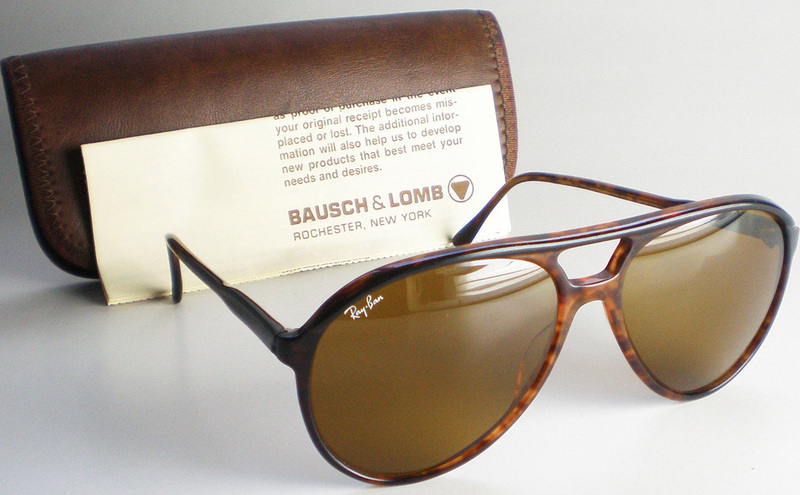 The RB4125 has two dots and Ray-Ban logo on each side of the temples.